As a low profile ambient and direct lighting source, recessed lighting does its job so well that its praises too often go unsung. The majority of recessed light fixtures, as the name suggests, are recessed inside of a ceiling with an internal downlight fixed or adjustable for the perfect orientation of bright light. The variety of available recessed light housings and decorative recessed light trims give can lights nearly infinite installation versatility. These high hat lights are suitable for new construction or remodels, for insulated or non-insulated ceiling, are available in line voltage or low voltage and come in a wide range of lamping options (LED, halogen, fluorescent and incandescent). You might find that you have a few questions for our electricans on choosing the right type of recessed lighting for your Spokane home. 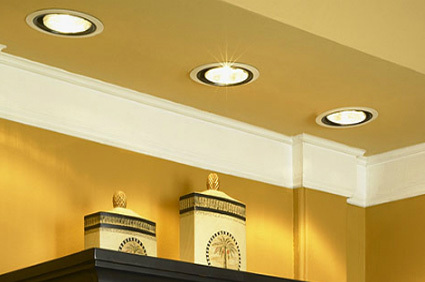 If you need help with recessed lighting, give the experts at Handyman Electric, LLC a call today at 509-993-0303.